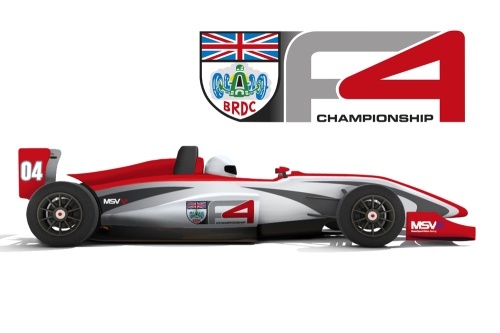 MSV has received an encouraging response and a large number of enquiries already following last week’s announcement of its groundbreaking new junior single seater series - the BRDC Formula 4 Championship. Serious interest for more than 40 cars has already been received from both teams and privateers. The majority of teams are well established and many of them currently compete in junior championships including Formula Renault BARC, Intersteps and Formula Ford. A large number of privateers have also formally registered their interest in the championship, which commences in 2013. Teams have praised the sophistication and outstanding value of the F4 car, priced at just £29,750 less engine, the tightly controlled regulations to ensure the lowest running costs, the strength of the calendar and the prestigious support from the BRDC. Private entrants meanwhile have been encouraged by F4’s technical restrictions that will enable them to compete with professional teams – uniquely in F4, engines, gearboxes and dampers will be sealed for the season. Orders for the new car, designated the MSVF4-013, will be taken from Monday 17 September. Deliveries will be made on a first come first served basis and will commence at the end of January 2013. For more information visit www.formula4.com. Interested teams and drivers should contact James Gornall on 01234 332439, 07872 674012 or at james.gornall@msv.com.